The Moto 360 may have been depressingly absent from the I/O keynote this morning, but two other smartwatches have the honor of being the first devices to run Android Wear – the LG G Watch and the Samsung Gear Live. While both devices share the same rectangular form factor, that’s where the similarities end. The G Watch’s display compromises resolution for slightly more screen real estate – a 1.65-inch LCD (280×280) versus the Gear Live’s 1.63-inch AMOLED (320 x 320). 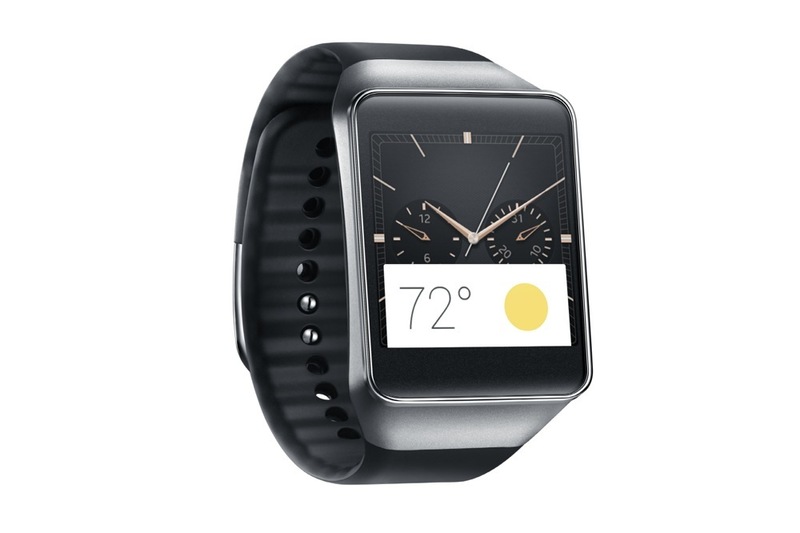 But the G Watch trumps the Gear Live in another area – battery capacity. It has a 400mAh, greater than the Gear Live’s 300mAh. The dimensions of each device are quite different (the G Watch is 37.9 x 46.5 x 9.95mm and the Gear Live 37.9 x 56.4 x 8.9 mm), as are the sensors packed into each smartwatch: LG omitted a heart rate monitor, Samsung added one. But the rest of the hardware is fairly standard – Snapdragon 400 processors, Bluetooth 4.0 LE, 512MB of RAM, 4GB of storage, and IP67 dust and water resistant designs. Sadly, neither will launch with metal wrist straps as an option – you’ll have to settle for colored plastic on both. The G Watch comes in White Gold and Black Titan, while the Gear Live comes in Black and Wine Red. 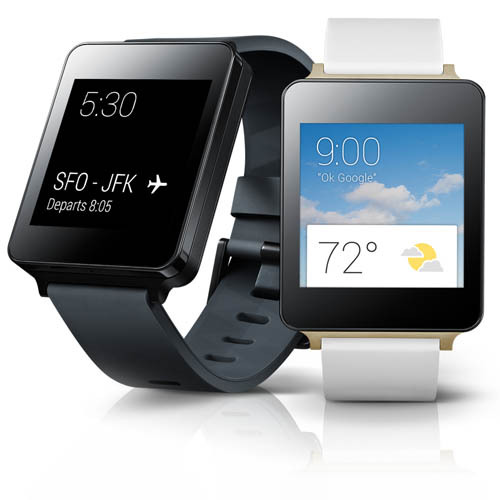 Both the Gear Live and G Watch will be available for pre-order on Google Play starting later today. The Gear Live will retail for $199 and ship July 7. The G Watch will retail for $229.